Color: Deep green with red, brown or copper. Appearance: A solid, opaque stone with small inclusions of spotted color. Hardness: 7 - The same hardness as quartz because it's a chalcedony. Other Notable Qualities: Also known as heliotrope, bloodstone is a combination of green jasper or chalcedony with inclusions of hematite. These flecks often resemble blood, hence the common name. A type of agate, bloodstone is typically formed when magma meets silica-rich soil with the addition of groundwater. Some geologists such as Jeanne Paquette describe the stone as a late-stage igneous rock slowly stewed. The hematite inclusions are then subjected to oxidation to create the bright red color we see as blood spatters. 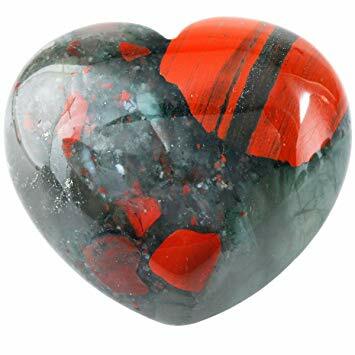 The way that bloodstone is formed requires all four metaphysical elements: Fire (magma), Earth (silica-rich soil), Water (groundwater) and Air (oxidation). 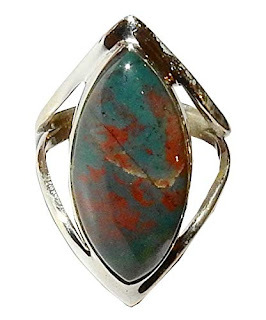 For this reason, bloodstone scientifically represents the four elements. 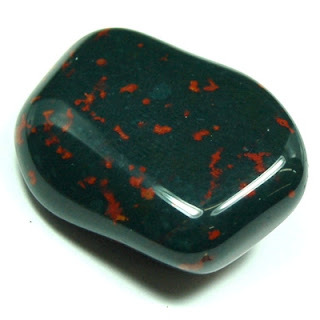 Historically, bloodstone was used in many instances for healing. From Egyptians using it in spells to heal mortal illnesses to Greek historian and philosopher Damigeron stating that the stone was a "preserver of health," bloodstone has a long history of being associated with improving health and curing sickness. 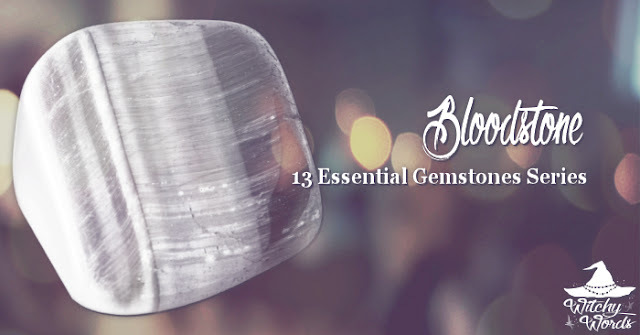 Even today, some cultures crush bloodstone and add it to health tonics. Because of its appearance, it was most often associated with healing blood and preventing bleeding. Spanish conquistadors suggested that the indigenous people from Central America would press the stone against wounds to stop bleeding, and women often used the stone to prevent hemorrhaging during labor. 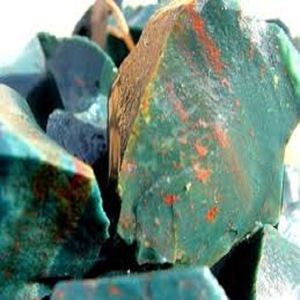 In fact, Christians believed that bloodstone was formed when Christ bled from the cross upon green jasper on the ground. Its associations with blood can also lead it to symbolize sacrifice and purity. In modern-day US, bloodstone is most often used in decorative jewelry, specifically rings and bracelets, as well as statuettes. 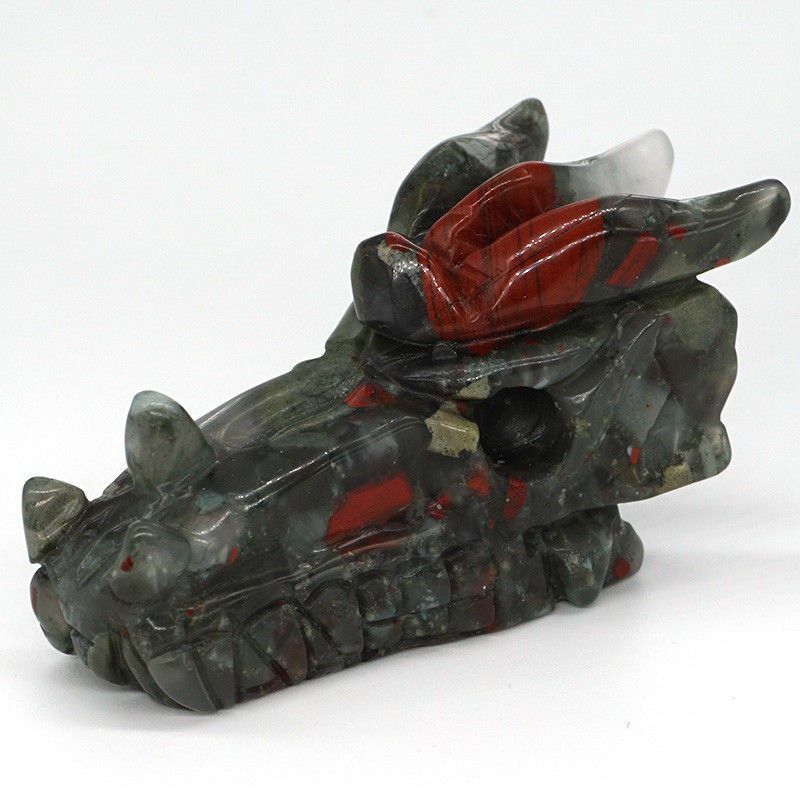 Most common figurines in bloodstone include dragons and warriors, symbols of protection and strength. 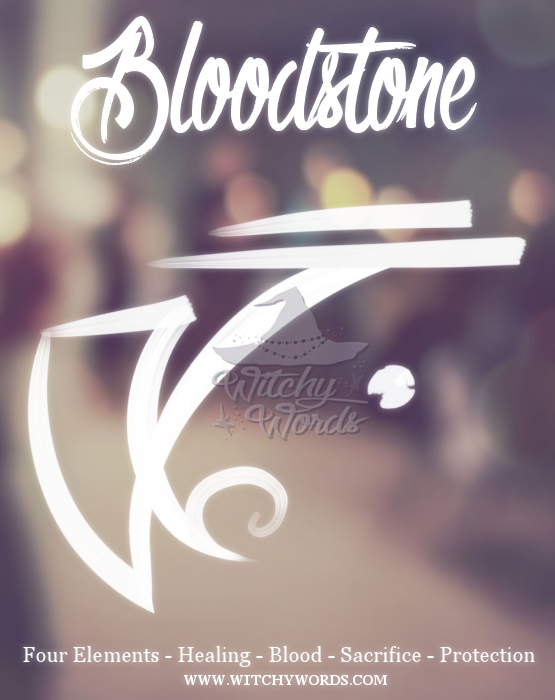 Utilize this sigil as a way of invoking the properties of bloodstone if you have none available to you. You are welcome to print this sigil, place it in a grimoire, use it on a spell or put it in your blog with proper credit. Do not claim this sigil as your own. Very interesting! Would be good on an altar to the elements, maybe right in the middle next to a spirit correspondence. I have a few pieces so maybe I’ll do just that.